The Tata Harrier is all set to be the first vehicle from the automaker to get a comprehensive online configurator that will allow buyers to pick and choose engine, transmission, suspension, seating, brakes and add-on kits. 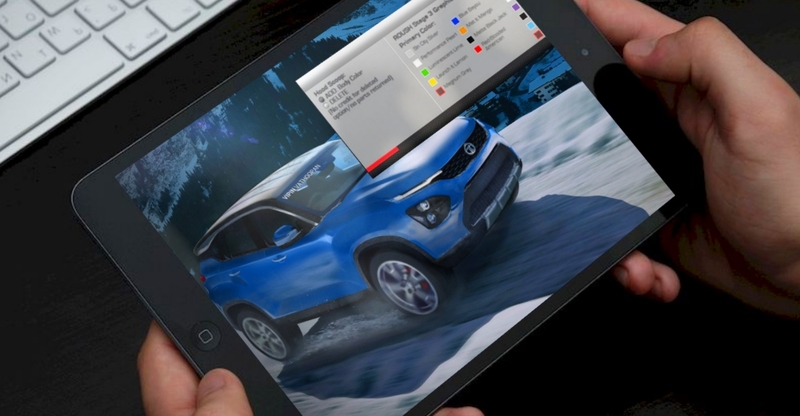 The online configurator will be the first such offering for the mass market although such configurators have been available for many years in developed markets and for high-end cars. This will be a big step-up from offering customisation, and a first for car buyers in India. The tool will help the company significantly reduce the time to market its products and enhance operational efficiency and save costs. Here I am talking about front-end, both the Omega and Alpha (the platform architecture for cars) will allow buyers to configure their own models. The online configurator will be offered on all Tata cars based on the OMEGA and ALPHA platforms which means that the upcoming 45X code-named premium hatchback will also get this option. The Harrier, which was code-named the H5X concept, was first shown at the 2018 Indian Auto Expo. The SUV will go into production later this year with an official launch slated for early 2019. The Harrier will be a five seat SUV that uses the OMEGA platform, an adaptation of the Land Rover LS550 platform. The Tata Harrier SUV will be the automaker’s flagship offering, and will sit above the Hexa in terms of price and positioning. As for pricing, expect it to compete with the higher variants of the Hyundai Creta. For now, we know that it’ll get a 2 litre Fiat Multijet turbocharged diesel engine with 140 Bhp-320 Nm, and a 6 speed manual gearbox as standard. The monocoque SUV will be offered with front wheel drive and all wheel drive options. An automatic gearbox is yet to be confirmed.